FRESH WATER BOAT AND COVERED ITS WHOLE LIFE. Bought new in Nashville, TN. Lives on Lake Barkely in KY!! The Carver 356 Motor Yacht feels like a much larger boat. With its wide 13-foot 3-inch beam, the 356 can easily accommodate a party of eight - and keep them entertained. 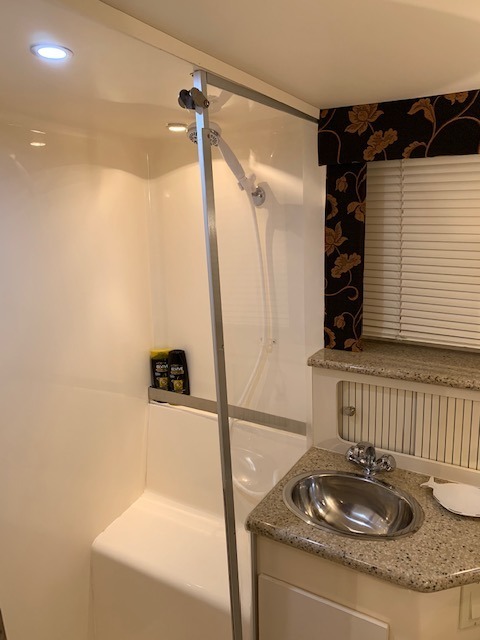 Below deck, the 356 can sleep eight adults with a master stateroom aft, a convertible dinette, an optional Flexsteel sofa and a complete forward stateroom. Updated 32" TV with DirectTV and LED lighting throughout. The 356 also offers a well equipped galley and entertainment features like the LED TV, Blueray DVD, Surround Stereo, and much more. There are two head compartments, each with a shower. Topside, the 356's bridge has seating for six, full instrumentation, and plenty of storage. 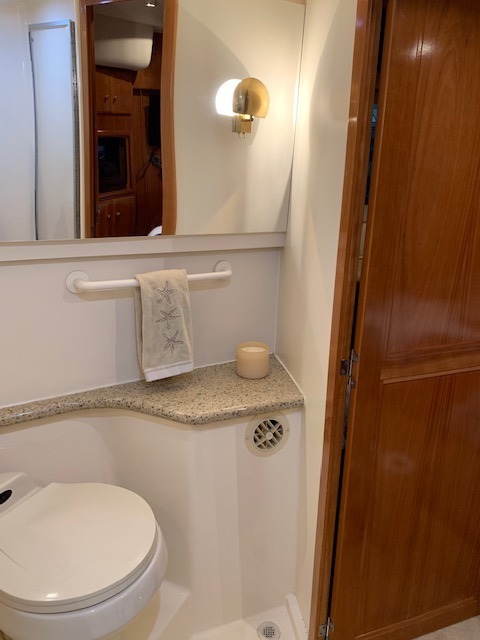 Step down and the entertainment-ready aft deck with a wetbar provides an ideal place for entertaining or relaxing. Add a Euro-style transom with its integral swim platform and staircase, and the 356 becomes as easy to board as a runabout with all of the luxuries of a yacht.DimensionsBeam: 13 ft 3 inMaximum Draft: 3 ft 3 inBridge Clearance: 17 ft 6 inHeadroom: 6 ft 4 inDry Weight: 19300 lbs ElectronicsNavigation centerRadarDepthsounderCockpit speakersPlotterDVD playerCD playerVHFCompassGPSRadio Inside EquipmentRefrigeratorElectric bilge pumpHeatingBattery chargerMarine headAir conditioningHot waterElectrical EquipmentGeneratorShore power inletOutside Equipment/ExtrasCockpit showerCockpit cushionsSwimming ladderElectric windlass Bottom job completed and Zincs installed 2017 New Propellers Installed 2017 New Batteries 2017 Twin Mer 6.2 liter V8. Approx 800 hrs. New Generator 2010 with Approx. 230 hrs My Family is out growing this boat. We still use every weekend. Well maintained and everything works as it should. Just waxed on 4/6/19. I have it waxed 2 times a year. Great boat!! Sad to see it go.